Manchester United will face a real challenge in keeping one of their rising stars at the club, The Mirror are reporting. They claim that midfielder Andreas Pereira could be set for a move as early as January, with former Premier League champions Arsenal and Chelsea interested in the Brazilian. The report suggests that Pereira only has a contract at Old Trafford till next summer, and United are keen on cashing in on their man while they still can, so a move in January may very well be a possibility. 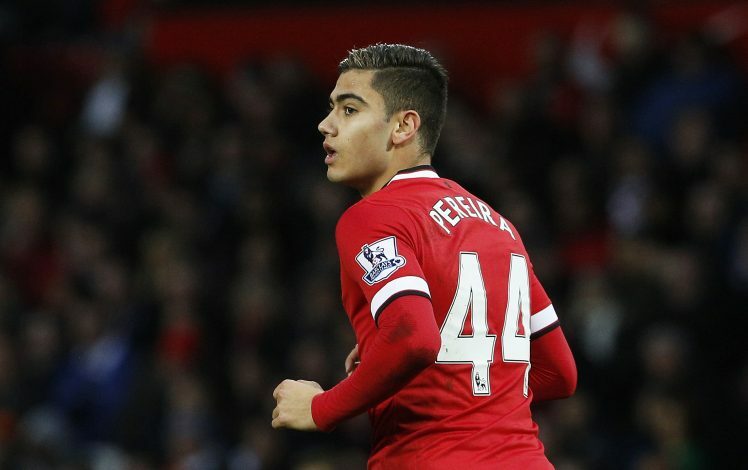 Having spent the previous season on loan at Valencia, Pereira was expected to break into the Red Devils’ starting lineup this season. But he hasn’t made the kind of impact Jose Mourinho would have wanted, despite impressing in brief periods. The 22-year-old has found himself largely on the periphery at United this term, with the likes of Fred, Herrera, and Fellaini given preference, along with Matic and Pogba, in the central midfield role that he also adopts. The report goes on to mention that an initial deal of £10 million could be in place for Pereira, but this figure could rise depending on performance-related add-ons. Among the teams interested in signing the Belgian-born star are Inter Milan, Monaco, and Valencia, but Pereira apparently likes living in England, and could consider a move to either Chelsea or Arsenal in London as a better option. Arsenal are keen on expanding their midfield, and the solidity of this youngster could come in handy for the Gunners, while Chelsea could be facing the possibility of losing a few players of their own in the transfer window, and would want to reinforce their midfield by adding Pereira to the mix. The lure of regular football could prove to be tempting for the current United star, so how this deal progresses promises to be interesting.